On the Sunday, the A and B competitions managed to fly off Heron Pike near Grasmere and complete a task. The coaching group tried Bewaldeth but the winds were too strong in the north Lakes. After Bewaldeth, the coaching group returned to Grasmere, some worked on their GH skills for an hour then around half flew from Alcock Tarn. 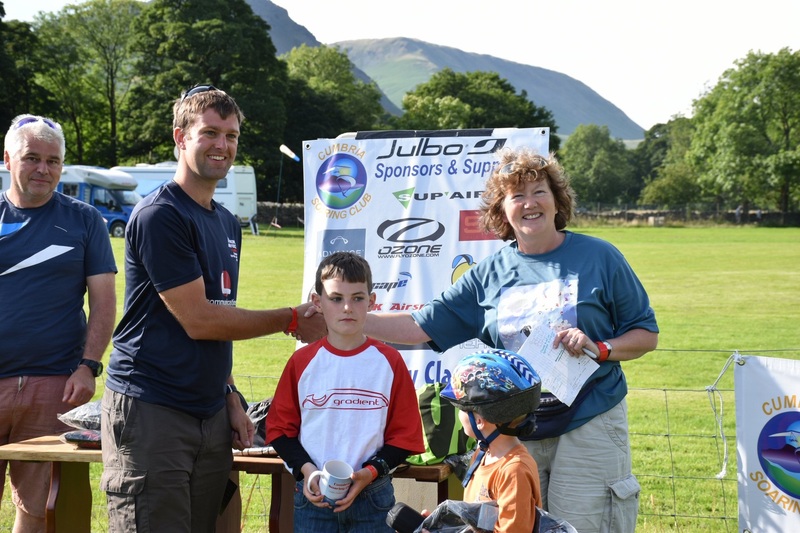 Flying was possible in Grasmere and we organised a low key accuracy competition in the best CSC accuracy tradition! Photo of the action at Silecroft beach by Jan Little. With un-seasonally poor weather in the weeks preceding the LCC, and a less than great forecast in the days leading into the event, the field reduced from its full complement of 50, to around 34. However, they became the lucky 34 who had remained positive, kept the faith and were rewarded with a great couple of days - lovely warm weather and some very varied flying over the two tasks. A pleasant looking morning only again marred by the wind strength. 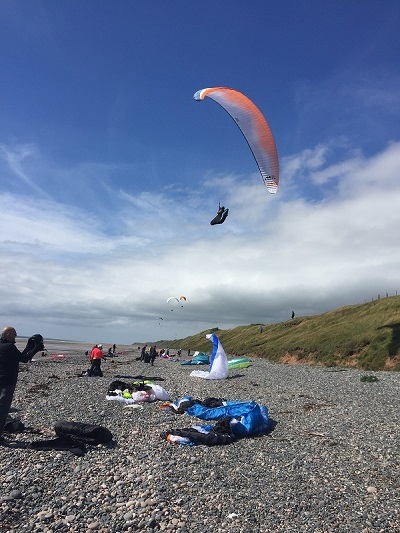 We held back the final briefing until we’d established it was better nearer the coast and both A and B comps were sent to Black Combe – a site new to most pilots. We knew gliders were happily flying there and arrived to find three or four in the air and a surprisingly light wind – it looked good. A sweaty walk up through the head-high bracken ensued, but the initial optimism was soon shattered. The wind kicked in to unflyable levels and swung slightly off to the south – neither good for the Combe. We bit the bullet, excepted the inevitable and headed back down to reconvene on the beach (with ice creams) at Silecroft. Silecroft may not be very high, maxing out at maybe 80 feet at best, but it provides a long, in places challenging 6k of great racing potential. 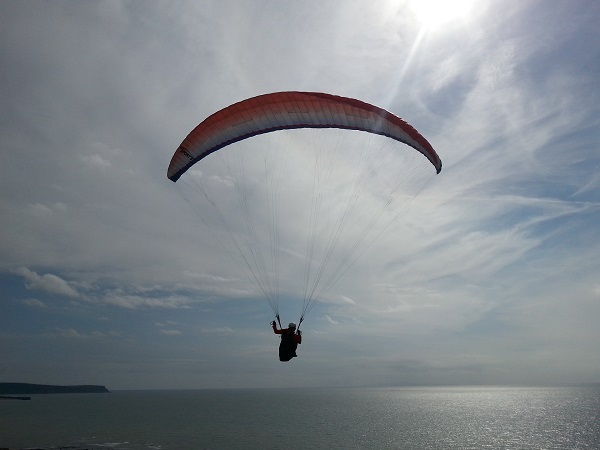 You may not reach dizzy heights, but you will enjoy the sounds and sight of a lovely beach and the Irish sea. Both comps set long ridge runs – the A comp stretching it up to a maximum of 19K after we’d optimised the distance. This was enough to make it long enough and interesting beyond doubt. Perhaps most interesting, and quite novel for many, was the launch. No messing, straight off the washed, shingle beach followed by an often unsteady moonwalk rearward towards the steep, grassy bank – then, dab of brake and up and away. Silecroft features bottom to top take offs – an acquired taste and rarely practiced, hence very entertaining for the observer and the gathering throng of visitors who started to form a gallery along the ridgetop. Even the cows came for a look. Due to the restricted nature of the ridge lift we opted for an elapsed time task with a long time window and multiple attempts. Although in places busy, pilots showed very courteous conduct and no problems were reported. A great, fun task that everyone enjoyed – not least due to the unusual nature of the site, the skills needed and the smell of the sea. Everyone reported back safely – but we need to mention one 'lost' pilot. The search was actually quite an adventure as well as useful in meeting various local farmers who thought our activities great fun. I had been a little wary knocking on their doors, but they though it so good they’d texted their friends and family to get over to see the spectacle of lots of mad, but very colourful moths populating the air above the beach cliffs. One insisted on taking me out to scour the beach in his quad ….. they couldn’t help enough and laughed from start to finish. Great folk. Oh …… and we did manage to find our 'lost' pilot in the Millom outback on a dirt road. Sunday dawned bright with all the makings of a good day, except – for that same nagging wind from the west. It hadn’t been forecast to be any lighter, but after Dave Ashcroft checked Heron Pike (overlooking the Grasmere base) it seemed we really were being nicely sheltered. So …… off we set on the pretty, but sweaty walk up to Alcock Tarn. Our wind dummy Cefn, showed it was eminently flyable, but given the numbers and the limited layout space we opted to do the extra 15 minutes to a better, larger place above the bracken line. Conditions were good, but persistent high cloud was limiting thermal development, so a race task was set to make use of the ridges on the first, main section of the task, but retained a turnpoint on the latter stages to stretch it into the Langdale valley at Elterwater, should the thermals improve, before heading for a goal at Ambleside on the lake front. As soon as the window opened (12.55pm), pilots were quickly in the air without mishap and building height and position near the optimal point on the exit cylinder for the race start (1.20pm). Gaining the first turnpoint at Fairfield (TP2 – 1000m cylinder) was achieved by most OK, but the south in the wind was not making life easy – it would get harder on the second return back north. Back down the ridge to Rydal (TP2 – 400m) before returning to Fairfield now reduced to (TP4 – 400m). Some found it no problem, whilst others had a battle to get forward and south again ………. quite a few got flushed out here and headed back for a landing at Grasmere. 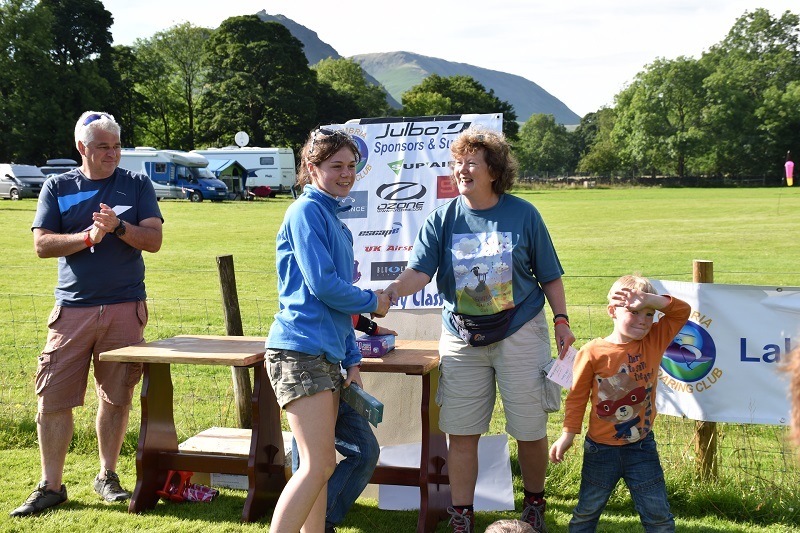 Later, conditions again became more benign for those that hung on ………… but generally the quickest were rewarded and could head forward into the Langdales and the turnpoint in front of Loughrigg (TP5 – 1000m). Of these, the lucky ones found a climb that easily carried them through the end of speed section (ESS) and into goal with height to spare. The less lucky ………. took TP5, or just landed short, but couldn’t make those last few k’s to goal. You needed, as always, a degree of good fortune. 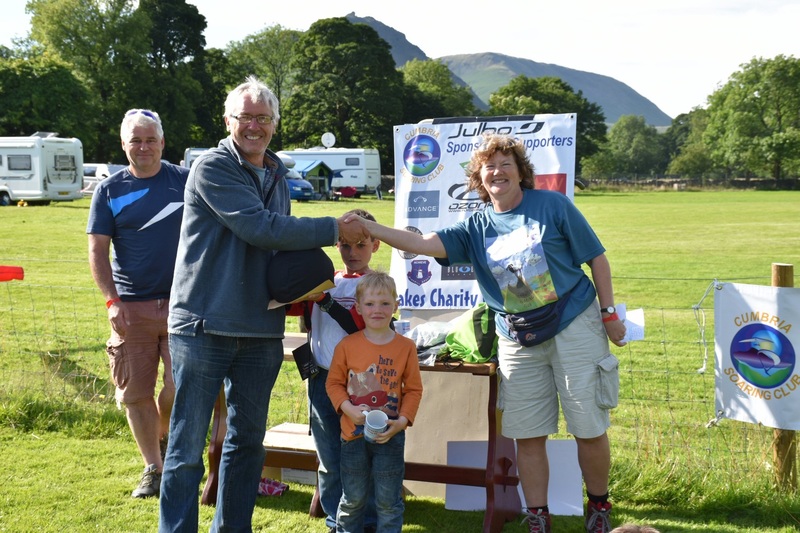 Fastest times were just over the hour and all agreed it had been enjoyable if challenging with only the task setter adding to his grey hairs. Saturday morning began clear and sunny, but too windy at all levels in the Lakes. After a short hesitation both ‘A’ and ‘B’ comp pilots made a convoy to the west coast, having received good reports from local flyers soaring the west face of Black Combe. After we all walked up, the wind picked up before the sweat had completely dried! Fortunately, we had a back up plan directly in front of us – the long and straight cliffs of Silecroft beach. The tasks for both comps were set along the same stretch of beach with different turn points. Although the wind was still fresh, the direction ‘backed’ until it was directly on the slope. All pilots had to demonstrate precise ground handling skills and experience when launching from the pebble beach, scratching or kiting up the lowest section of bank, but turning away before being ‘venturied’ over the top! Fortunately, the fresh wind allowed groups of pilots to cross each other’s paths at various heights and distances away from the cliffs. 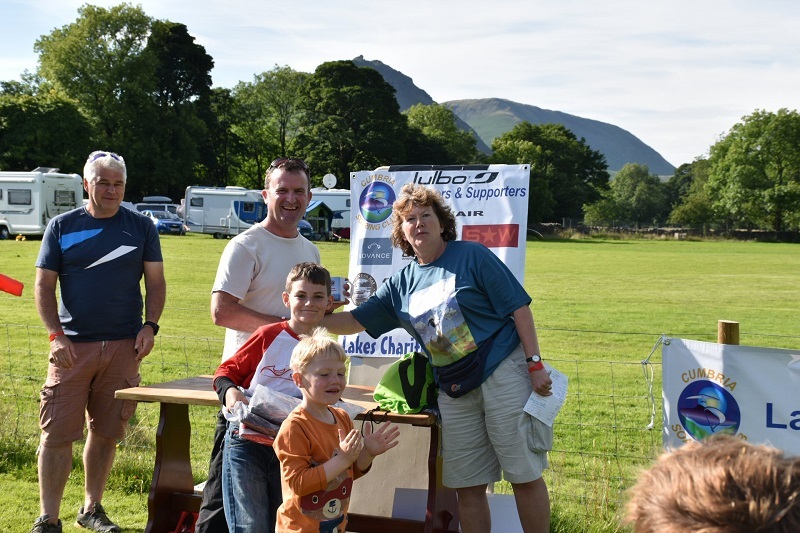 Multiple elapsed time attempts were allowed and Martin Baxter completed the course in the quickest time. I think everyone was pleased to fly together somewhere new, in sunshine and smooth conditions. The use of the ‘Telegram Messenger App’ for reporting in after landing worked well. However, rather bizarrely, my mobile actually welcomed me to the Isle of Man! With lighter winds forecast, two ‘wind dummies’ (Cefn and myself) walked up early from Grasmere and kept the Showground up to date with live weather conditions from the take offs at Alcock Tarn and Heron Pike. The wind was light at first, but as the ‘A’ and ‘B’ Comp made their way up to just below the Heron Pike ridge, both wind dummies thermalled overhead. I checked out Helvellyn, but at 500ft above the summit the westerly wind was a concern. Back in Grasmere the wind varied from light to moderate and from the WSW, accompanied by plenty of sunny spells. 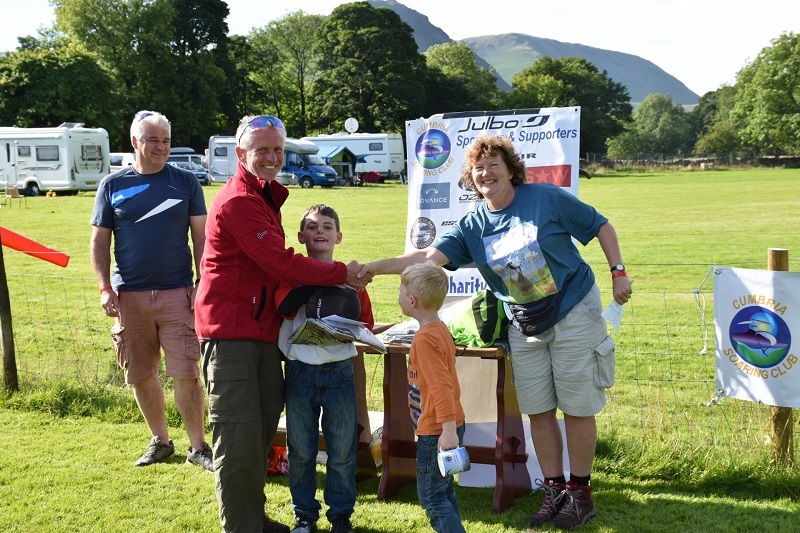 Jocky set a straight forward local task for the ‘B’ Comp pilots; Heron Pike to Seat Sandal (next to Dunmail Raise), then back past launch to the north shore of Windermere, on the edge of Ambleside. John Farbridge was the only pilot to land at goal, along with three members of the ‘A’ Comp. 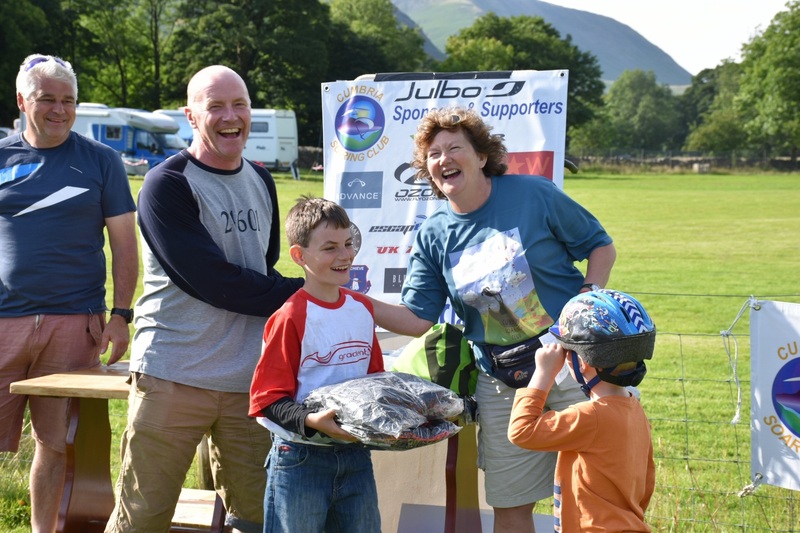 As on Saturday, pilots continued to fly into the evening from Alcock Tarn, landing at the Sports Ground. Friday night’s heavy rain had passed by Saturday morning; it was a glorious day in the valley but there was a considerable breeze. Four of the CSC coaches gathered together and agreed on a range of options to offer to the 12 coachees who’d would soon be joining them; ground handling, a walk up to a couple of popular sites and along one of the ridge runs or a trip to St Bees, a coastal site that would probably be blown out. The unanimous decision was to head to the seaside. Parawaiting at St Bees in the finest tradition! As we drove to the coast we passed bending trees and squally lakes with the expectation of sitting in the café next to the launch area sheltering from the wind but as we dropped down into St Bees there was a mystifyingly calm breeze. We strolled across the car park and onto take off. The breeze was on the hill and light. The coachees were asked to brief their two coaches on hazards and options of the site and the discussions began. 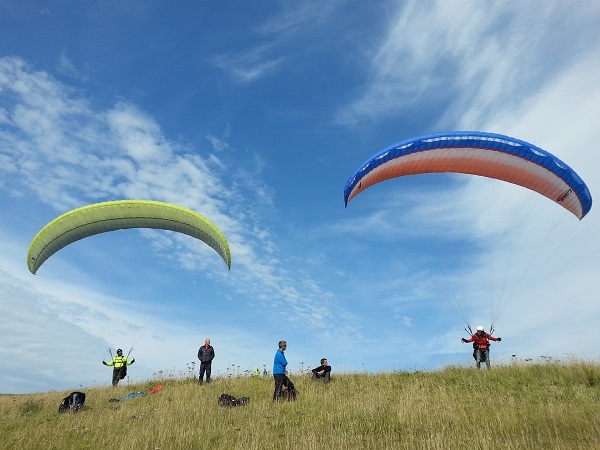 With a wide range of experience in the group from 8 to 200+ hours there was varying levels of enthusiasm and nervousness in the conditions but quickly we had someone in the air and making the most of the light wind with the air to themselves. This was followed by a range of top to bottoms and discussions about how to connect with the lift band. As the day progressed and the wind moved from SW to W we moved to a more into wind launch location for some more ground handling and some successful and unsuccessful attempts to stay up. Meanwhile we were in contact with base who were reporting the A Comp walking down from Black Combe and heading to Silecroft as it was too windy. With the wind continuing to move towards a NW’erly we decided to pack up and relocate to a different site. After just a short drive we arrived at Lowca to see the wind turbines pointing into a SW wind, 90 degrees from what we had experienced 10km down the coast. The coaches again assessed the site and gave a site briefing and then a flight from an experienced local and one of our group showed that the gentle breeze made it only just possible to maintain height and we were soon heading back to Grasmere to make sure we were there in time for supper, having heard that there were also people flying. 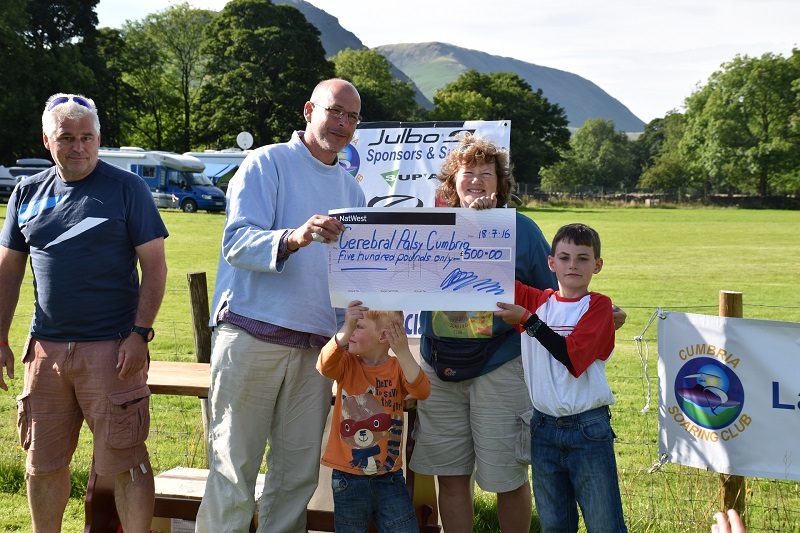 We arrived back at base in Grasmere with wings overhead so some of the group headed up the hill for an enjoyable evenings fly before being lured to land by the sight of people sat in the sun with a pint of the cheapest and best in in the valley. Sunday morning saw us awake to the forecasted strong breeze and after some deliberation over possible sites options we decided on Bewaldeth on the northern edge of the Lake District. 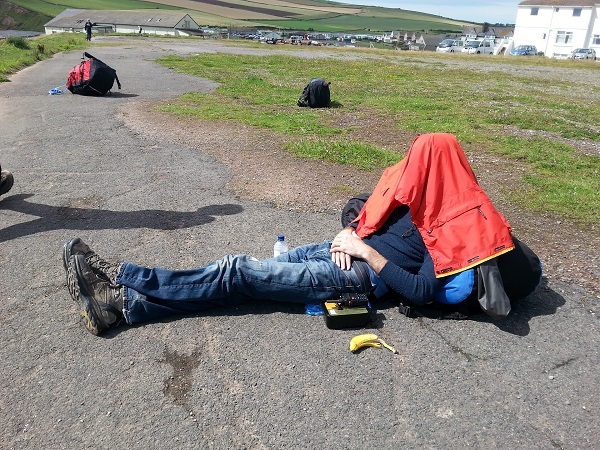 On arrival at the site it quickly became apparent that the wind was far too strong. The morning wasn’t wasted and the coaches gave another site briefing, expanding on what had been talked about the day before. After a spell of parawaiting with some good metrological discussion, aided greatly by the presence of an instructor from Air Ventures the group left the site with some people starting their journeys home and other heading back to the base in Grasmere with the encouragement of some good ground handling conditions. Back at Grasmere and after a short period of ground handling the rapidly improving conditions overhead became clear and those who were left headed up to Alcock Tarn directly next to the campsite with another couple of the CSC coaches who had been kept back in reserve for a very unexpected and pleasant flight. A target had been placed in the landing field next to the campsite as encouragement for all pilots whether in the LCC or just free flying to land in the preferred field and it was left to the people on the coaching group to show how to land on the centre spot, which they duly did with a dead centre from Nick Sams. We had a ground handling demonstration in the showground. Emily Shepherd had a go and promptly showed us how to do it, even though she's never been on a paraglider! 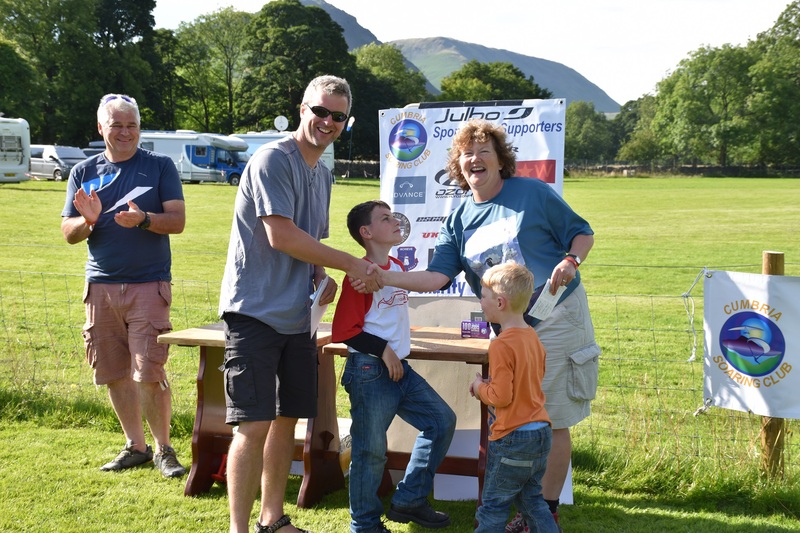 The booby prize went to Ed Cleasby. 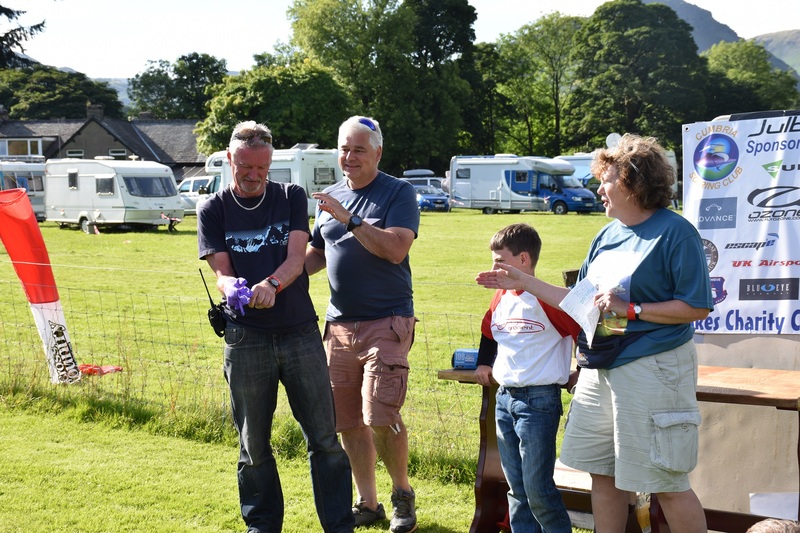 Ed seemed very concerned that we didn't have enough disposable gloves in the First Aid boxes so we presented him with a set of his own!